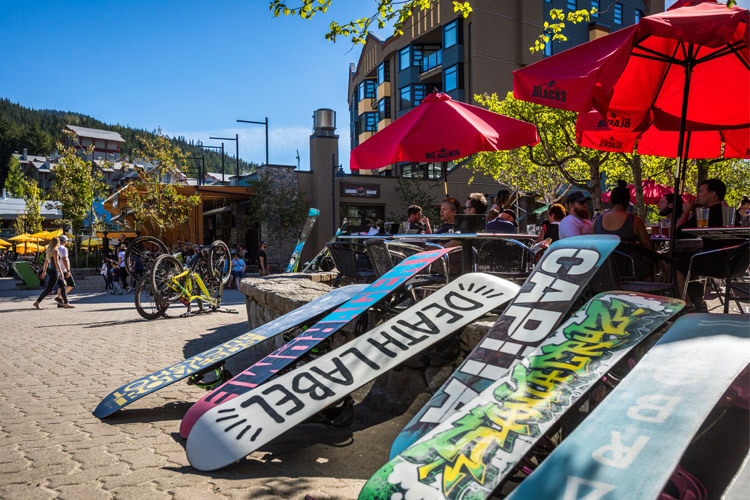 If there is one season we can all agree is the best, it’s après-on-a-patio season. 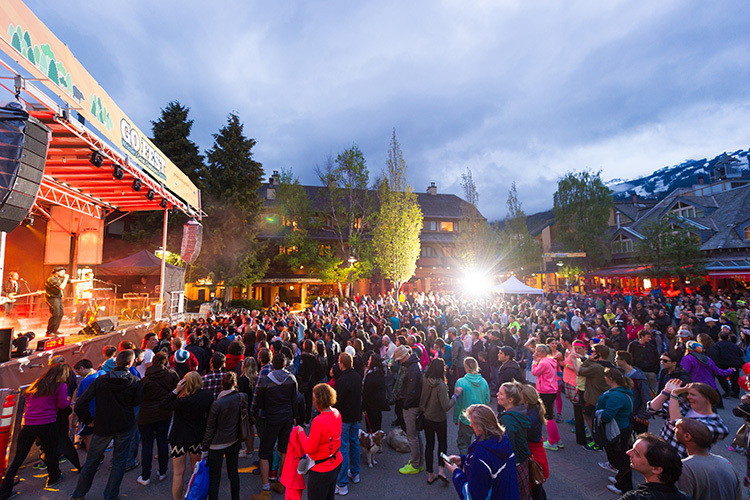 Thanks to outdoor firepits and heaters, it’s actually the longest season we have, and sitting around (or dancing on) a table as the sun sets behind the mountains is the Whistler way to cap off an unforgettable day. 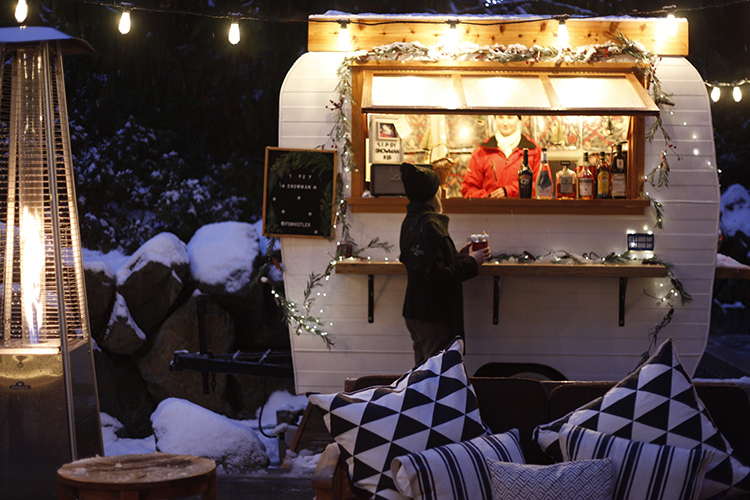 While après is a physical thing, the art of it is intangible. As long as you have a smile on your face then we say you’re doing it right. Well, everything and anything! As we get into the warmer months the options become almost endless – read on for inspiration. We’re in the sun-snow-rain who-knows season which is the perfect time to play in the mud, snow and water! Snow is melting off the lower elevation hiking trails including mellow favourites like Ancient Cedars, Train Wreck and Lost Lake Loop. 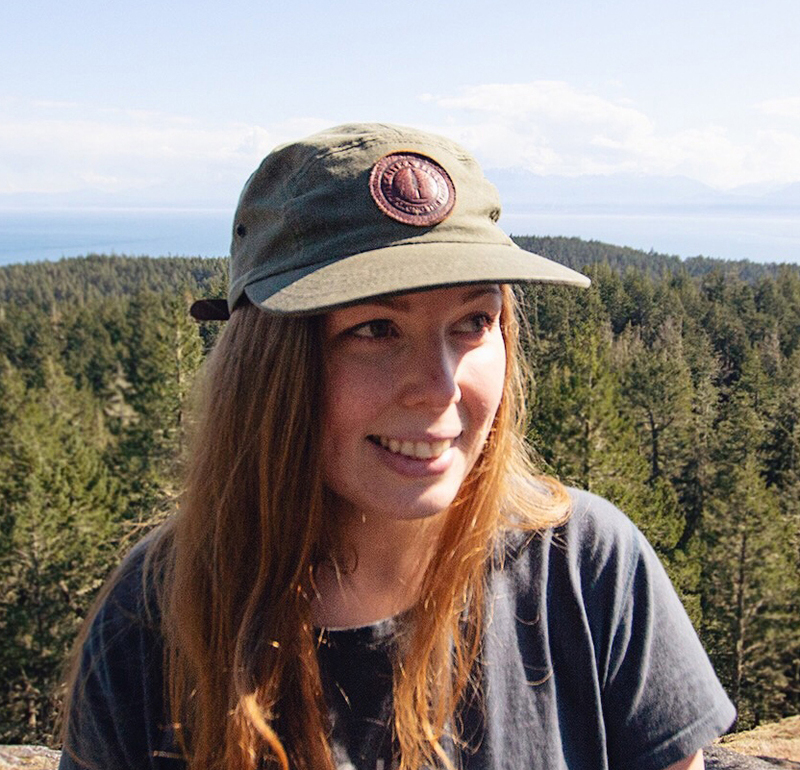 The Valley Trail is clear of snow and soon the cross-country mountain bike trails will be ready to ride, while the lakes are good for a paddle (or a swim if you’re brave enough!). Our favourite way to après after a day like this? With a local beer such as Lost Lake IPA or Treeline Lager at one of Whistler’s breweries. Yep, getting your cultural fix counts. For a full day immersion into the arts scene follow the Cultural Connector. 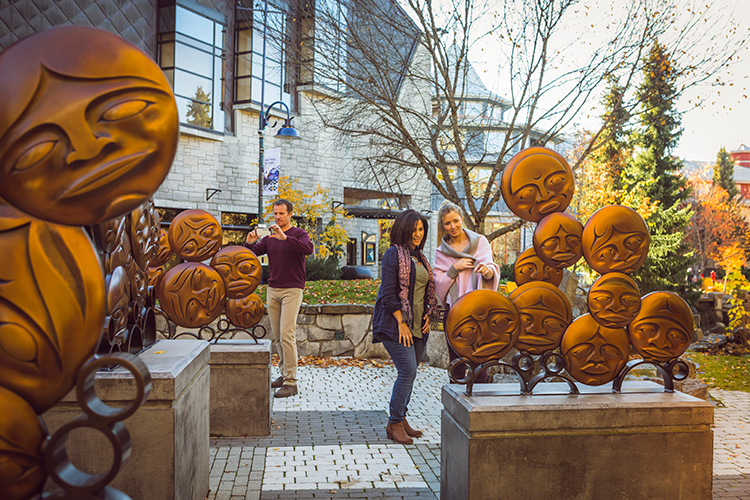 Or if you’re short on time choose from Whistler’s top galleries and museums like the Audain Art Museum and Squamish Lil’wat Cultural Centre. For this après you’ll probably want to head somewhere quieter like a lounge or cafe so you can chat about your favourite pieces and let all you learned sink in. If you want to try some of BC’s best wines head to Basalt, Stonesedge, The FireRock Lounge or Bearfoot Bistro. For an artfully designed interior, Bar Oso is a must, their shared plates are perfect for après. We’re guessing you’re familiar with this one. You can do it on or off-mountain, take yourself on a patio tour or hit up a classic spring location. There’s even an après lager at the Longhorn and you can’t beat their patio location. We also recommend heading anywhere the Hairfarmers are playing, it’s a guaranteed good time. 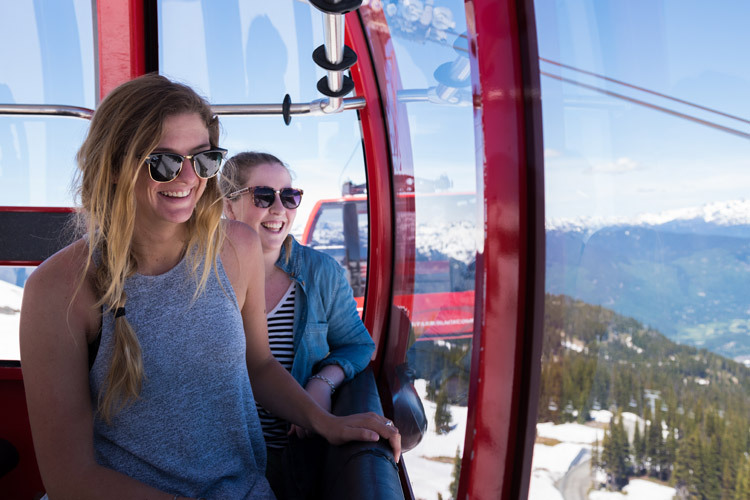 You can enjoy the snow on Blackcomb Mountain until May 21 – check out the hours of operation here. Who says shopping isn’t hard work? There’s a lot of decision making involved, especially when there’s an entire village of unique and trendy stores to visit. 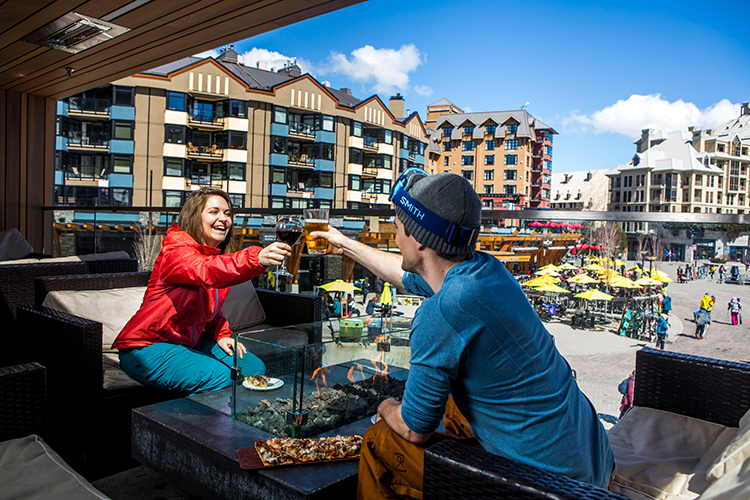 The best part about après-ing where you shop is you can scope out all your patio options ahead of time. 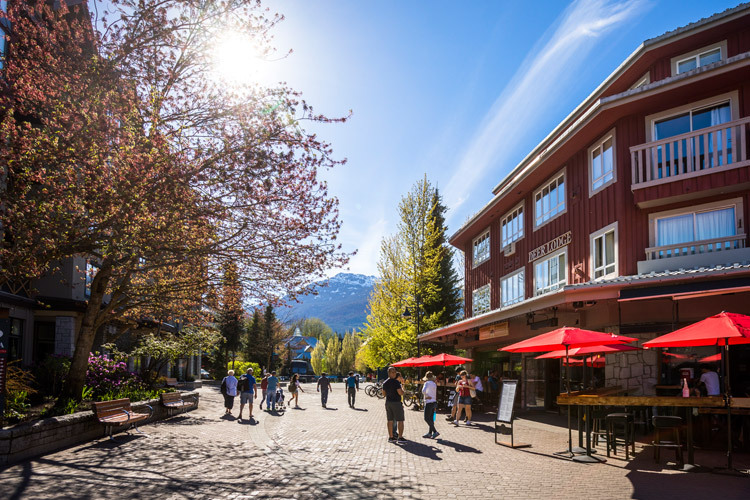 With shops in Whistler Village open late, it also gives you the perfect break to evaluate if you need to go back for that super cozy sweater or those end-of-season discounted goggles. What’s better than jumping off a bridge, ziplining between mountain tops or sending it downhill on two wheels? Reliving it afterwards with your friends. Having a laugh while you swap stories, share funny videos and judge who got the best shot of the day is all a part of the fun. 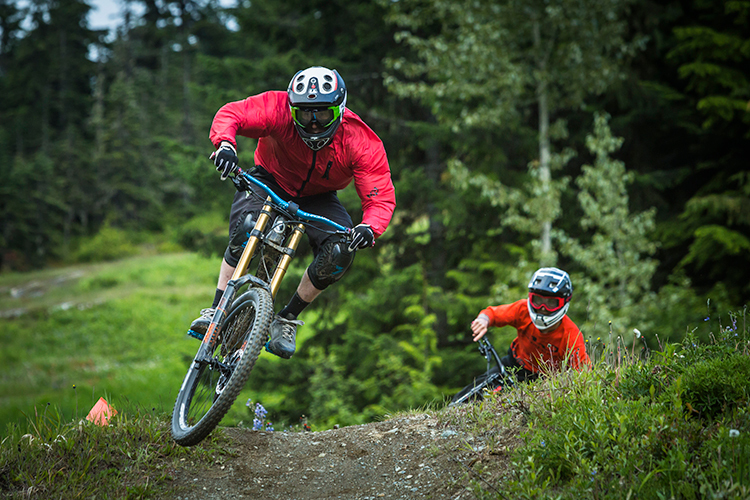 Our favourite places to ride out the rush include the GLC (where you can watch others do the same), El Furniture Warehouse and Handlebar Cafe and Après. Because you don’t really need to earn it. 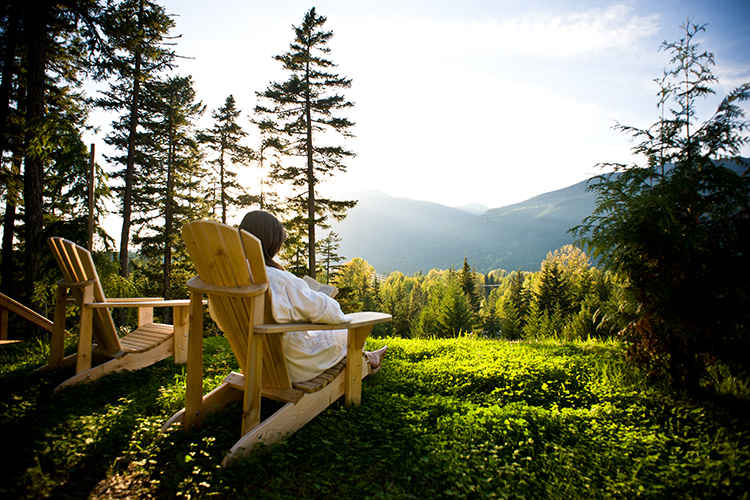 Maybe after a day of quiet at the Scandinave Spa, a peaceful afternoon poolside or a moment of meditation in a yoga studio, a loud, raucous patio is what you need. Or maybe not. 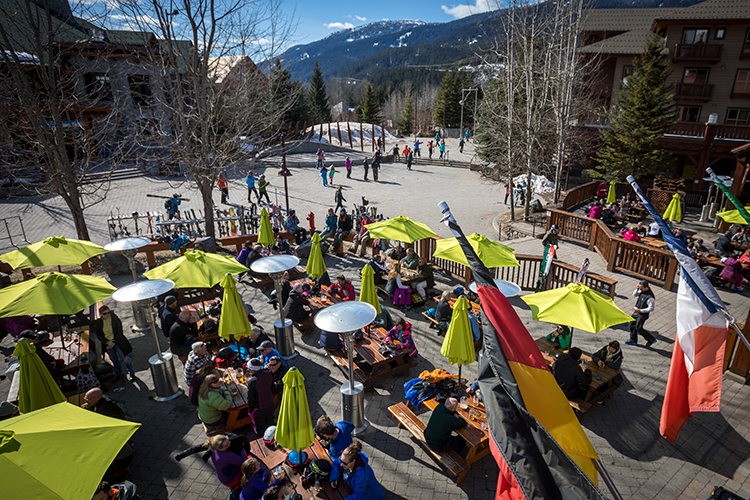 There are plenty or mellow places to après too, check out the Cure Lounge at Nita Lake Lodge or Hunter Gather on Main Street. Bonus: Après on the Greens! 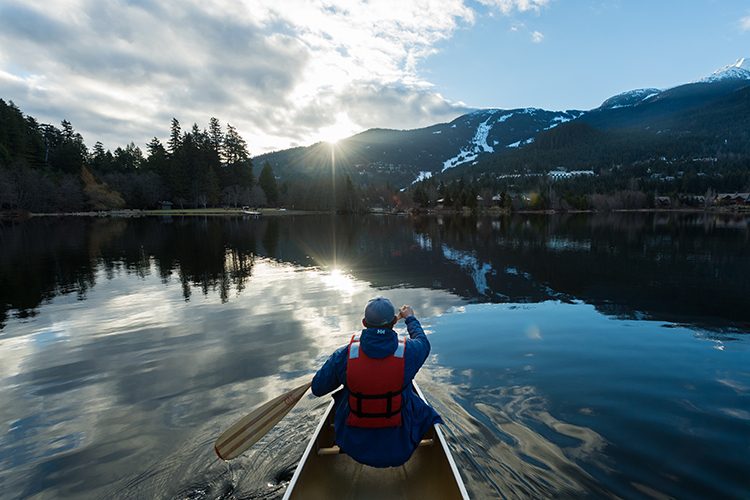 Okay, so we’re not quite there yet but golf season is just around the corner with Whistler’s golf courses opening from the 27 April through to early May. 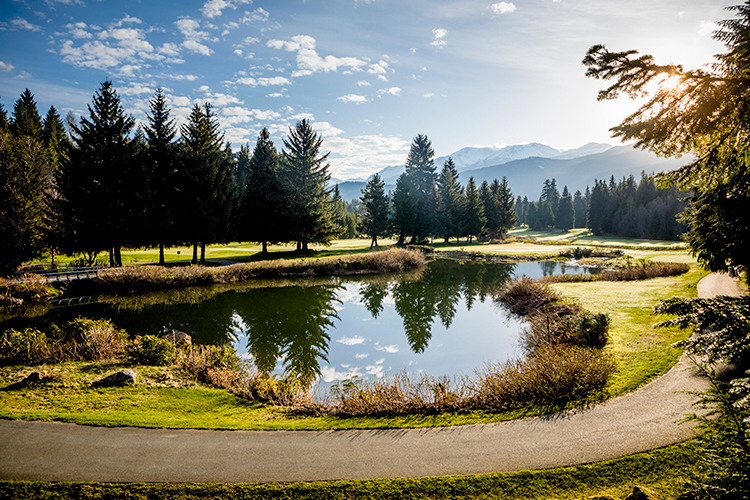 There’s a nineteenth hole at each of Whistler’s courses where you can tell your favourite hole-in-one stories over a cool beverage and set up your next tee time. That should get you started! 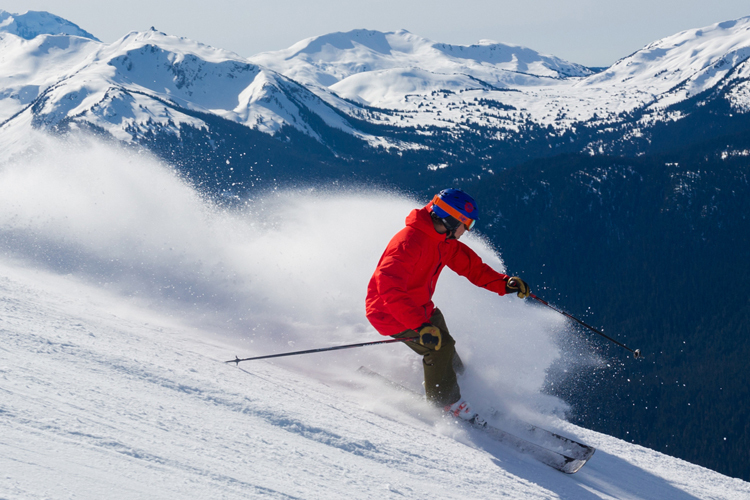 With more hours of daylight and plenty to do, rest assured you won’t run out of activities to après while you’re here. 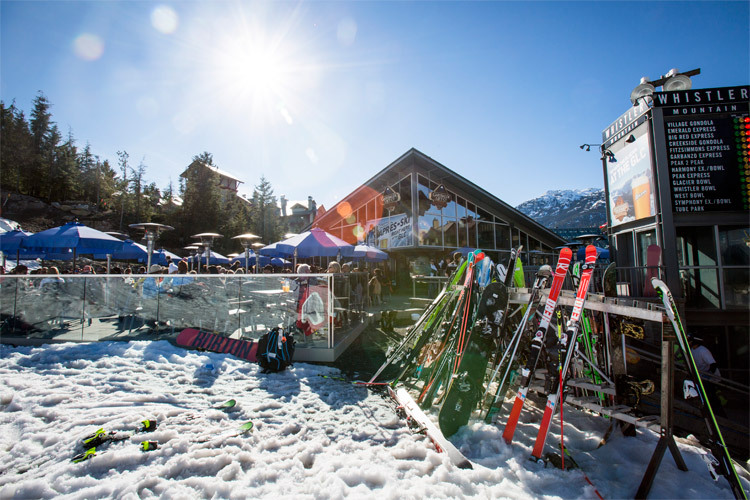 Check out Whistler’s après spots below to find the right one for your adventure. 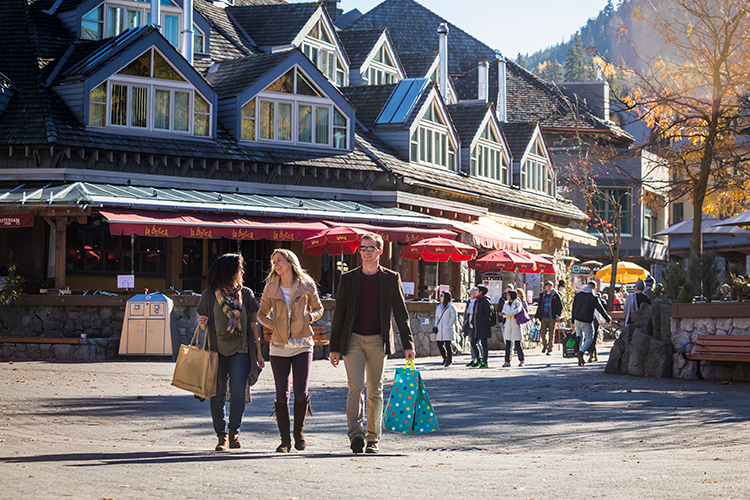 For more spring activities, dining specials and great deals on accommodation visit Whistler.com. Cheers!